The Central Florida Aquarium Society will be hosting an Aquatic Terrarium Workshop, presented by Fancy Tails Fish Farm and Seachem Laboratories. 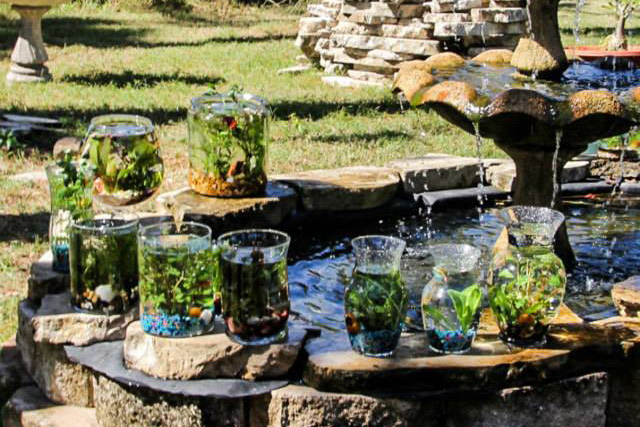 Your instructor, Christina, will guide you through a 90-minute, hands-on workshop focusing on creating a self-sustaining mini-ecosystem inside of a glass cylindrical container of your choice, providing a unique learning experience about how to care for freshwater aquatic plants, design a table-top aquatic garden, and how to create and maintain an ideal environment for all inhabitants to thrive with the aid of products from Seachem Laboratories. As with all of our events, this is a free class to attend and observe. If you would like to participate and take your completed aquatic terrarium home, please ensure you have pre-purchased your ticket for this workshop, as space is limited. Seating will only be available to ticket holders. Standing room will be available for those observing. Purchase your tickets online for only $20. Parking is available in The Plaza Parking Garage. Bring your ticket with you so that we may validate it. Parking is only $4 after validation. Corner of Pine Street on South Court Avenue. Additional plants and livestock will be available a-la-carte for $1 – $3 per item. Please bring cash. *1pm workshop will be available for overflow only.